Which money transferring app is the best? My friends and I decided to purchase tickets together to see the rapper Logic in his upcoming “Bobby Tarantino vs. Everybody” tour this summer, and we decided to put it all under one order to ensure we all got seats next to each other. After paying the rather large amount off of my card to get everyone’s tickets, it was time to get paid back by my friends. This is where I came to a dilemma that I had never realized until now: cash is becoming more and more rare, especially with my generation, so how do people give each other money? I have been experimenting with different cash apps since that point, and I wanted to run through a few I have been using and figure out which online money exchanging platform is best. Let’s start with Venmo. Venmo was founded earlier than I thought, in 2009. The website and now smartphone app was ironically founded by two former college roommates who wanted a better way to pay each other back. This app is how I’ve decided to get paid back, downloading it just last week and already receiving a payment from my friend for his concert ticket. I find the social aspect intriguing, with the homepage of the app greeting you with a timeline-like feed similar to Twitter, showing your friends payments to each other. I find it a little creepy how the app syncs with my contacts, though. As someone who really needs to clear out their contacts app, I keep seeing transactions between people that I don’t even know (like the people whose phone number you get just to collaborate on a class project together). Yikes. Snapchat has SnapCash, an easy way to send cash to and from SnapChat accounts after linking a debit card. One thing about SnapCash, though, is that both the sender and the receiver need to have their debit cards linked to their SnapChat accounts or the SnapCash payment won’t go through. All of the other cash apps on this list will just add funds to an in-app account. 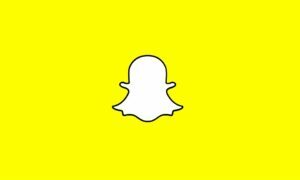 Let’s be honest, though, Snapchat has been on a downturn after that questionable app update weeks ago, along with their recent incident involving a controversial ad featuring Rihanna and Chris Brown that makes light of their domestic abuse case and has since faced a severe backlash. Moving on, let’s talk about a little bit about Cash App. 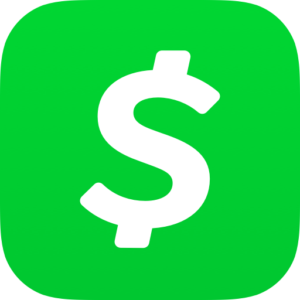 Cash App is a rival service to Venmo and works a little bit differently. Cash App is owned and operated by Square, a company that came out with a mobile card reader that attached to your iPhone a few years back, and has since grown into a profitable business. The app itself focuses on the money in your account rather than the transactions that have gone down between you and your social circles. The app also pushes you to invest some of your money in Bitcoin, a rather annoying aspect, especially with the risk involved with investing in such a volatile currency. One more platform is Apple Pay, a method of payment that is very widely available, as it is built into iOS. One of my friends actually offered to pay me back for his concert ticket on Apple Pay, so that goes to show you that it is a recognizable service in the pack of money-transfer apps all vying to be recognized as the top dog. The service makes it easy and intuitive to pay others, doing so through iMessage. Money received goes into a virtual Apple debit card, and that money can be easily transferred to your preferred financial institution. Unfortunately, Apple Pay is only available on Apple devices. These are just a few methods of virtually paying your friends back. There are plenty of other services out there, such as PayPal (who actually owns Venmo now), Zelle, as well as the pay services of various financial institutions. I just wish that everyone would pick one service to use, because having a handful of different apps to send and receive money from my different friend groups can get a little bit redundant at times.